Still got questions? Don't hesitate to contact us! Are all the JDM products you sell authentic? I ❤ Honda! only sell genuine 100% authentic products. 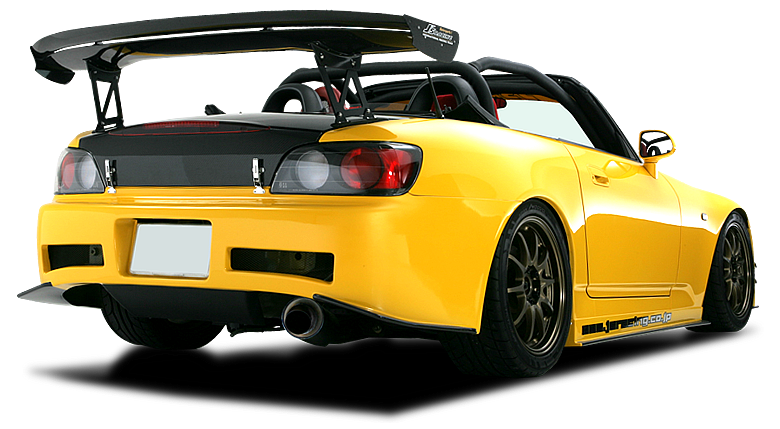 All of our JDM products are sourced in Japan. Not from Alibaba or other mainstream counterfeit websites. We are extremely passionate and proud of our sourcing ethics! Can you source brands from Japan for other JDM vehicles? Yes but we prefer to stick to the "Honda only" brands or brands that we have experience with (such as Enkei, Project Mu etc). Many brands are available through other online retailers. Can you source products for other Honda vehicles? Yes of course. Due to the low amount of customers with vehicles such as the CRX (EE, EF), older Civic models (EF) or NSX we decided to not list products but allow customers to place orders offline. We also support import-only models such as the Odyssey, Stream, Stepwagon, Cross-Road and JDM models such as the Edix (FR-V in the EU). Do products carry any warranty of guarantee? As a general rule products imported from Japan do not carry any warranty or guarantee. We feel this is unfair and to prove our point and show our absolute faith in our suppliers/partners all products sold by I ❤ Honda! come with a 3 month warranty from delivery date. This warranty covers defect in manufacturing, fitment and function. How often do you order from Japan? At present we order once a week (on a Monday morning, 10:00am GMT) and we receive one shipment per week containing smaller items and one shipment every two weeks containing bumpers, bonnets and larger items. The picture looks different to the product I received? Many of the images on our website are taken directly from the manufacturers websites where, on occasion a "generic" image is used. Do not be alarmed, if you ordered the product from us and selected the correct fitment you will receive the correct product. 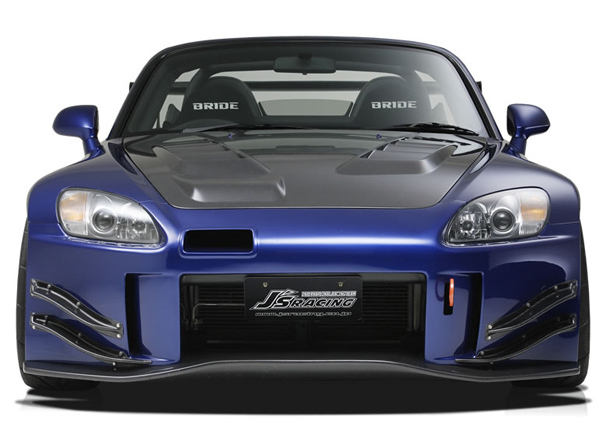 We ship every order with an invoice, an authenticity guarantee (for JDM parts only) and a warranty certificate (showing the date the goods shipped - JDM parts only). Items that are currently in stock in the UK are shown as "In Stock" otherwise they carry a lead time from Japan which is clearly stated. Please consider lead times before playing an order. Simply add the items to your shopping cart after selecting your vehicle and shipping destination and check out via PayPal. It really is that simple! Paypal and Debit/Credit Card via PayPal. This offers security for the buyer as PayPal offers great safety for buyers as well as fantastic merchant services for sellers. We would prefer all payments via PayPal but if this isn't an option we will consider bank transfers. Do prices include duty and VAT? Will I have to pay customs charges? For EU customers all of our prices include all duties and VAT based on the current United Kingdom rates set by HMRC. Goods shipped within the European Union are not subject to further taxes. Countries outside of the European Union may be subject to import duties/tax. Please educate yourself on these charges before ordering. Why do prices keep changing? We have a unique website that grabs the current "trade" currency rate for Japanese Yen (from xe.com) and updates the website prices accordingly. Too many of our competitors advertise a price but upon ordering the price increases by 10% due to the exchange rate. We felt this unfair and decided to have this currency updater built into our website. If we need a confirmation please contact us immediately. You can email, WhatsApp or SMS us as well as Skype and Live Support! Shipping within the UK is FREE! Shipping outside of the UK has an increased fee per item. We show prices for UK and EU. Goods are shipped from Japan to the United Kingdom via either EMS, DHL (Air Freight) or DB Schenker (Sea Fright). Shipping within the UK is handled by UK Mail, Hermes or DHL. Outside of the United Kingdom is handled by either Fedex or DHL. Are products inspected before shipment? Yes, all products are inspected by us prior to shipment. All packaging is also checked and replaced/repaired/made more secure if necessary. Thank you very much for your order! We will send you tracking number via email when it becomes available. You can also track your order progress online. My order arrived and I ordered the wrong part! Please contact us immediately either via email, WhatsApp, SMS or Skype. If you have ordered the wrong part there is a 20% restocking fee. Please check our our returns page for more information. My order arrived and you sent the wrong part! Please contact us immediately either via email, WhatsApp, SMS or Skype. If we have shipped you the wrong part we will replace it at our expense as well as ship you some free items! When orders are placed with us we double check the fitment application you selected with the manufacturer to make sure the parts will fit. irstly, refuse to sign the goods as in acceptable condition with the courier. This will allow us/you to process a claim. Secondly, please contact us immediately either via email, WhatsApp, SMS or Skype. We will do our upmost to manage the claim process and either re-order the goods or help cover the cost of repairs.